British boxer James Degale finaly got his title fight for the IBF super-middleweight against american Andre Dirrell and the fight will take place 23 May 2015 in Boston USA. There were rumours that this fight might be part of Mayweather vs Pacquiao undercard but Degale has confirmed that it looks very unlikely to be on 02 may card. 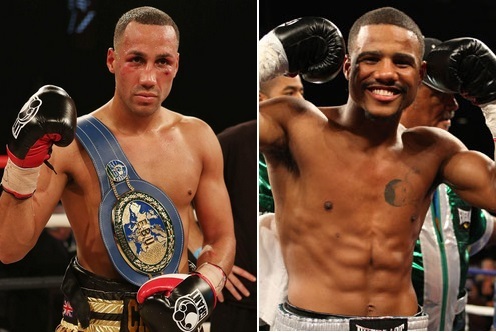 Earlier reports suggested a date of 25 April 2015 in O2 arena london but Dirrell refused to fight in UK which means Degale had to take the long route to america for his much deserved title showdown fight on 23 May this year. The fight will be part of the NBC boxing championship and will be televised in United States on free to air tv which means James Degale has a good chance of getting exposure with american boxing viewers. In United Kingdom BoxNation will broadcast the fight through their channels which cost around 10GBP a month. James Degale became the mandatory challenger for IBF super-middleweight title when Carl Froch vacat the belt and Dirrell and Degale have to fight it out to become new champion. As far as the money is concerned this fight will earn Degale handsom $1.5 million guaranteed which is not bad for fighting on a free to air boxing night. A win here will put Degale right in the mix with some of the top middleweights and he will be in good position to get bigger fights in future.